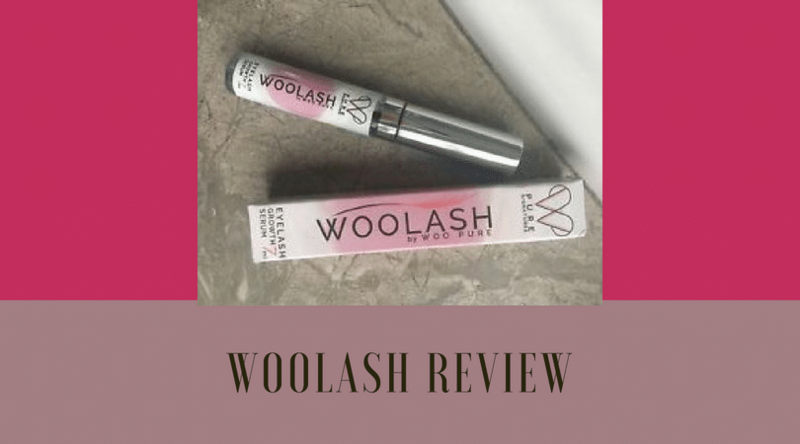 WooLash is an eyelash serum manufactured by WooPure Company which claims that their product is made from only natural and organic ingredients. According to its official website, WooLash consists of modified botanical extracts including myristoyl pentapeptide-17, panthenol, calcium pantothenate, ethylhexylglycerin, isomalt, and grape stem cells. The question which arises here is – How modified are these ingredients which the company stamps as being nutrient-rich? We will find out in this review if WooLash lives up to the expectations set by it or not. Convenient Application: All you need to do is cleanse your face thoroughly and apply a thin layer on the upper and lower lash. Paraben-free: It does not contain oil, alcohol, and any kinds of parabens which are actually harmful to your skin. Endorsements: It has been endorsed by some well-known faces like Sofia Milos and Victoria Summer. False Claims: As per the company, you will see the results within a few weeks. However, the customer reviews show that they weren’t able to notice any difference even after months of use. Limited Shelf-Life: You cannot keep a bottle for long once it has been opened. It needs to be changed every 3 months. Counteracts Oil Products: You cannot use any of the oil-based products or waterproof makeup on your face if you are using this serum. We do believe that allergic reactions depend highly on your body’s chemistry and its immune system but WooLash does come with its set of side-effects. Although, the company strongly claims that the product is made from natural ingredients but this doesn’t make it allergy-proof. The best way to check for any reaction is to apply the serum on your inner forearm as it has sensitive skin. Discontinue using this product immediately if you have redness in the eyes or get a certain tingling feeling. The serum is for external use only but contains the notorious ethylhexylglycerine which is a known skin irritant. It can not only irritate your eyes but possibly damage them as well. Don’t let the self-proclaiming “organic” companies fool you with the fact that ethylhexylglycerin is derived from vegetable glycerin. It is an expensive product as a 5ml bottle comes for $199. The high-price is for those “so-called” natural ingredients which already have a questionable standing in the market e.g. panthenol which can cause contact dermatitis in some people. Not only are the customers fed up with the false claims, they are also quite agonized by the poor customer service of this company. You are not even going to get a response from their team let alone getting a refund for such a product which is entirely useless for you. If you are fond of wearing makeup, then know that this serum is not going to work properly with oil-based products. This includes moisturizers, eye creams, and makeup removers. If you are applying the serum while wearing contacts, it is advisable to keep it as far away from them as possible. Apply it only on the lids in a very subtle way. Just like all products, there are other things that users need to be aware of before purchasing this product. Only a few things will be discussed the products. Can You Place Your Bets on WooLash? Despite the continuous claims by the company that WooLash is made from 100% natural ingredients, we do have a number of apprehensions regarding this product. It is not as paraben-free as implied by the company. First of all, ethylhexylglycerin is a questionable ingredient which can act as an irritant to your skin. If it accidentally enters your eye, it can significantly damage it. So, it doesn’t pass my criterion of being an organic product. This study has been carried out only on a limited sample of 50 individuals so its results don’t apply to the masses. Most of the customers are very unhappy with the product because they weren’t able to see the results even after months of use. In summation, I find the pros of this product to be overpowered by the cons because of their severity. Hence, it is better to look for better options which at least would be kind to your skin and eyes. If I am not satisfied with the woolash product how do I go about returning it? I can tell you. You DON’T! They do not have any customer service. WooLash did not work for me and I could not get a response at all from them and I messaged them on their website (which is the only way to contact them) several times and they would not respond. Shyster company. I have used woo lash for 3 months and have not noticed a difference . I came across your review on Woolash as I was attempting to find an address for this company in order to return their product as it has not worked for me as well as other reviews I have read. Do you per chance have any idea what their address is? They do not respond to my emails nor the online chat option. It always shows them as “away” Furthermore the product was shipped to me in a shipping envelope with no purchase order copy inside and the serum was not in a box. The oddest thing about this shipment was that the return address showed an apartment address affiliated with the Woolash name! I now wish I would have kept that envelope! I know that this is not the purpose of your site here but I am at a loss as to what to do at this point. I have had same problem, I’m going to call my credit company and advise of the situation. I saw no results after a month and returned with unopened 2 serum. I have not received refund and can not reach anyone either by email or chat. would not recommend dealing with woopure. I have tried to get a refund on this product 5 times. The company refuses to respond and has no refund information. This is a scam and after 3 months the product does not work at all. Do not order from them. They take your money and run. Total waste of money. Woolash does NOT work. I’ve been using it for months with no difference in my lashes at all. Keep you cash and go buy yourself something nice. I share my frustration about Woolash here. I’m glad that other people experienced the same things. I ordered the growth serum from them and did not see any results. Contacted them 5 times, no response! Very shady company, I don’t believe I fell for that product. Read the reviews on their website and it’s obvious that they’re fake. Be aware of woolash and don’t buy from them. You will never receive your money back or an answer to your questions. Very disappointed!!!!! Where was all these reviews before I ordered. My experience has been exactly the same – Woolash claims with the back up of “scientific” research that it may take up to longer than 8 weeks to work, yet they are not prepared to give refunds beyond this. Reading responses above, appears they don’t refund at all. I’m afraid I have joined the ranks of the ‘duped’ on this one. DO NOT WASTE YOUR MONEY. I have previously used FLASH – to good effect and that did work as claimed. I hope that this prevents other innocents from being parted from their money. Woolash is a fake. They sell something that doesn’t work. I asked for a refund and guess what. The day that I requested it was the day that my trial time ended. What a coincidence. I send them pictures which I took showing that their product did NOT work. No response from them since then. My advise… DO NOT BUY WOOLASH! I had to pay £16.25p to pick up my parcel from the sorting office as they had not paid the customs fee. Have messaged countless times but surprise, surprise, not heard a word. Oh and to rub salt into the wound it does not work either!! We’ve been conned. Woolash I think has helped increase the quantity of my lashes but there is no extended growth beyond their original state. Eyenvy had had huge results in lengthening lashes to the point where I had to slightly trim a few but overall quantity of lashes didn’t increase. I have had the same problem with this company. The product does not work! According to their website, they say you have 60 days to return the product however, they will not respond to any emails or chats. They are shady and I wish everyone on this site would report them to the California Attorney Generals office. This company obviously is a FAKE! Unfortunately, I doubt any of us will be getting our money back. PLEASE report them to the California Attorney Generals office so they can’t screw anyone else. https://oag.ca.gov/contact/consumer-complaint-against-business-or-company . For the cost did not work for me. So I purchased 2 tubes for 100. & got a 3rd free. Started using it every night & during day. Took about 8 week to really start seeing results. I guess everyone is different. Now I use lash curler & personally love Thrive fiber mascara. Very pleased with results. I don’t feel it has exspired. Maybe because I keep tubes in my wine fridge. Temp is low, but cool. Can’t beat the price! People need to be patient can’t exspect results on day 1.